From Here to Eternity featured a terrific cast, including Burt Lancaster, Montgomery Clift, Deborah Kerr, Frank Sinatra, and Donna Reed. It received 13 Oscar nominations, winning 8, including Best Picture. Uploaded by 2sao.vn. What does it take for a movie to rise above an enjoyable diversion for a couple of hours and achieve status as a classic? A great story, of course – in this case provided by the James Jones novel. An outstanding cast – would Burt Lancaster, Frank Sinatra, Montgomery Clift, Deborah Kerr, and Donna Reed suffice? And a talented director, like the underappreciated Fred Zinnemann (High Noon, Oklahoma!, A Man for All Seasons, Julia). 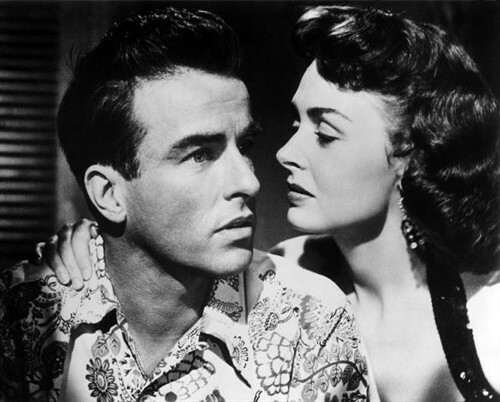 Made in 1953, From Here to Eternity is noteworthy for several reasons. It includes one of the iconic scenes in all movie history, with Lancaster and Kerr kissing (wink wink) in the surf. The Army wouldn’t cooperate in the making of the movie until the filmmakers agreed to make changes that didn’t reflect so harshly on the service. And the movie is credited with saving Frank Sinatra’s career, the singer having got the part only after begging Harry Cohn for the part – and after the original selection for Maggio, Eli Wallach, changed his mind and took a Broadway role instead. From Here to Eternity received 13 Oscar nods, and won 8, including Best Picture, Best Director, and Best Supporting Actor (Sinatra) and Actress (Reed). In the American Film Institute’s 100 Years…100 Movies, it ranked number 52.